To give the Onyx website a fresh, SEO-friendly makeover. 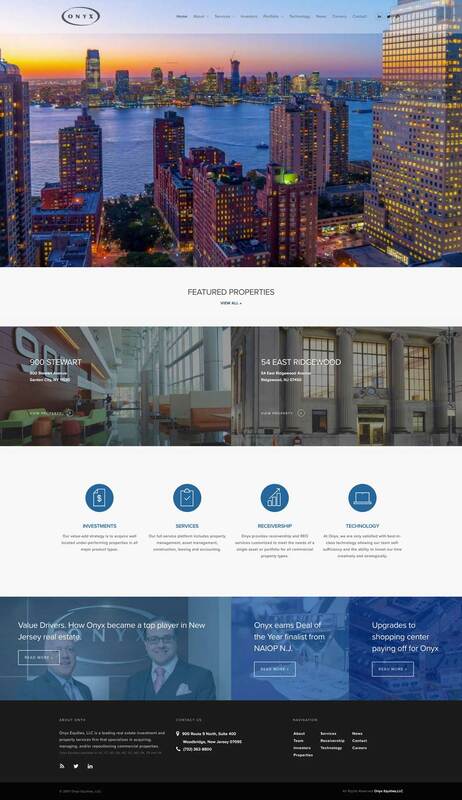 We shifted the focus of the Onyx site to highlight their featured properties, or “success stories,” building a new layout for property pages with large photos and a custom icon set to view amenities at-a-glance. The site is now optimized for search engine visibility, and features a clean, user-friendly layout.